Studio Legale Scognamiglio - Why invest in the UK? There are a variety of reasons to invest in the UK and, consequently, many businesses choose to establish themselves there. The World Bank has placed the UK in the top ten for ‘ease of doing business’ (www.doingbusiness.org). The UK offers many advantages in relation to the business set-up, the business-friendly environment, funding opportunities as well as the attractive tax and legal conditions. The frequent use of the English language and English law in business aids this transaction considerably. On average, it takes 13 days to set up and from 24 hours to register a company. One can expect minimal ‘red tape’ and transparent standards of corporate governance. (UK Trade & Investment, Inward Investment Report 2012/13) Permission to establish a business presence in the UK is not required, only compliance with regulations such as to business names and those applying to specific business sectors requiring licences or authorisation. (www.gov.uk/set-up-business-uk) The UK offers a skilled and employable workforce, an excellent ICT infrastructure, ample choice for physical location and clear advice for new businesses. The highly favourable conditions for investors in the UK has produced a positive cause and effect, allowing businesses to thrive. The UK’s prime conditions encourage businesses to set up in the UK, these businesses in turn help to create the business-friendly environment and increase the network of potential clients, partners and colleagues, encouraging the establishment of more businesses and attracting investors. Indeed, the UK is the most popular location for European Headquarters, with 43% of European HQ’s established there. (UK Trade & Investment, Inward Investment Report 2012/13) The UK is consistently the most popular Foreign Direct Investment (FDI) destination in Europe pulling in 17% of the total. (Ernst & Young’s 2012 European attractiveness survey). Recent initiatives between the UK and China are likely to increase this. As George Osborn has recently noted “There is no country in the West that is more open to investment – especially investment from China – than the United Kingdom is.” (George Osborn speech at Peking University, 13 October 2012). Furthermore, the proposed streamlining of visa applications as well as the introduction of VIP visa applications, makes working with Chinese partners easier from the UK. Establishing in the UK opens businesses up to thriving networks and investment opportunities both nationally and internationally. Once located in the UK, foreign investors can receive the same support from the UK Government as domestic firms. This includes access to the UK Trade and Investment’s advisers and various funding opportunities. The UK has a low tax burden, especially in comparison to other European countries such as Italy, France, Germany, Sweden and Denmark. The tax environment is set to become even more attractive to businesses since, by 2015, corporate tax will be reduced to 20%, the lowest rate in the G8. The UK is cosmopolitan, business-minded and progressive. It provides a high degree of success for many investors and business owners, with relatively little risk. 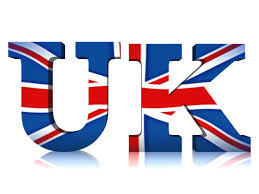 Considering all the above, it is little surprise that the UK is the preferred choice for many business investments.